How You Can Use Responsive Web Components Today — How do Web Components fit into the current state of the Web, work cross browser, and adapt to the space they’re allocated? David Berner shows us. Mobile Web Design Adaptations for Better UX — Tips to help you adapt your website content and animations to provide the best user experience across devices. How to Avoid Common Mistakes when Publishing Accelerated Mobile Pages — Some common mistakes to look out for when working with AMP. 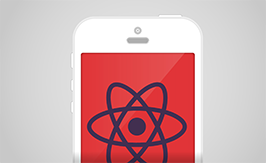 React Native Webinar: A New Way to Write Native Mobile Apps — From leveraging polyfills to debugging and using Flexbox and CSS for styling, this webinar will show you how to apply the things you know and love about React to fully native mobile apps. Register today to tune in live from anywhere in the world and receive a video recording for reference afterwards. Progressive Web Apps — Thoughts on the the state of mobile, web and desktop in 2016 and the future of progressive web apps. Using PX, EM or REM for Media Queries? — The answer, according to this test, is to use em. The 9 Most Common Mistakes That Ionic Developers Make — Ionic has revolutionized the hybrid app scene, but the number of pitfalls developers need to look out for is still high. In this article, Julien Renaux outlines the most common mistakes that Ionic developers should know. Announcing Windows Support in Ionic 2 — Ionic announces support for Windows Universal Platform App in Ionic 2 beta.3, complete with a total UI look-and-feel and component set. Google Will Start Ranking ‘Mobile-Friendly’ Sites Even Higher In May — Google has announced it is rolling out an update to mobile search results in May that “increases the effect” of its mobile-friendly ranking signal. Time for Flexbox First — We’ve seen ‘mobile-first’, now Calvin suggests that it’s time for ‘Flexbox First’. Windows 10 Support coming to Tabris.js — Tabis.js 2.0 will support Windows 10. Cordova 6.1.0 Released with new plugin compatibility support — Cordova 6.1.0 has been released and includes changes to ensure better plugin compatibility, platform and tooling updates and other important fixes. Tips for Creating Beautiful and Engaging UI — Great tips and specific design concepts to focus on to ensure your interface provides the most positive and engaging experience. iPhone 6 Screen Size and Mobile Design Tips — Tips to help design your apps for the proper display size, resolution and pixel density across all variations of the iPhone 6. Testing the New Ionic User Service — Ray talks about new Ionic User Service features like social network login, custom data support, a new REST API and more with demo code to illustrate. AMP and the Sandbox Policy — Paul Bakaus and others a have developed a new SandBox Policy proposal that aims to create a standard around some of the optimization ideas within AMP. Cross-platform Certificate Access with Cordova — The 2nd part in a series on how to write a Cordova plugin to access certificates on devices, this part focused on iOS. Chrome Custom Tabs with NativeScript — How to use the Android custom tabs feature to open content within a Chrome window within your NativeScript app. Stop Applying to Jobs - Let Companies Apply to You — On Hired, sign up in 10 minutes and get offers from top companies like Facebook, Uber, Stripe. Engineers get an average of 5 offers on the platform in 1 week. Try it today.